Well what can I say? This was the single biggest upgrade I have made to the boat so far. 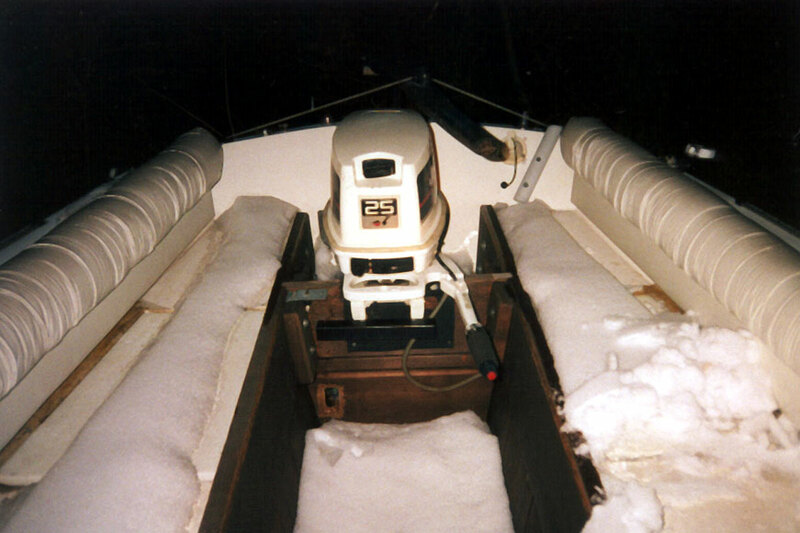 In order to pull this upgrade off, several different things had to come together at the same time (rebuild the cotpit, replace the cotpit floor, remove the old transom, enlarge the tunnel, and rebuild the new transom, install a new floor). Ten years after creating the motor tunnel for the six hp motor, I later had to cut out the front of the tunnel to lengthen an additional 6 to 8" in order to accept the larger 25 hp motor. I combined several tasks into one to make this happen. While I was rebuilding the tunnel, I had to replace the transom that had worn out from ten years of use (it was getting old and the wood had split. I would not be able to use this for the new motor). The new transom also formed the front of the extended tunnel for the motor to drop into. Additionally, when I designed this new setup, I tied it in to the wood used to create the new cotpit. This all came together very well, but was a big project that required some advanced carpentry and fiberglass work. Rotted cotpit floor removed - I simply cut out the old floor back to the point where it was flush with the sidewalls. I did not remove any of the deck forward of the flip up cotpit floor, but I did cut out the back to where the new transom would be installed. At the same time I also cut out and removed all of the structural plywood under the cotpit seats (this was all completely rotted out). Removed the existing transom that was installed when the original tunnel was installed. The wood was shot, although I can honestly tell you that this put up a really good fight. All the hardware that was used to bolt it in was rusted through and had to be cut out, one bolt at a time. Cut out the front of the existing tunnel to allow for expansion. The new sides of the cotpit foot well were laid out cut and installed. 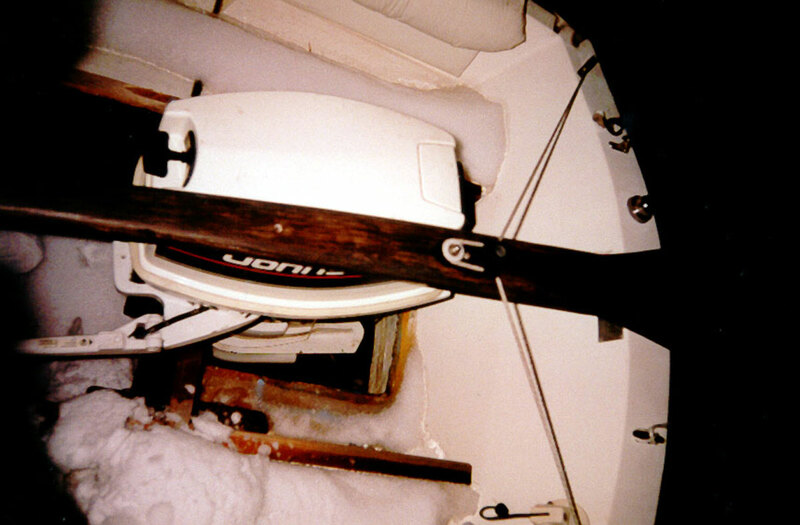 Two steps leading up to the hatchway were installed (removable so that you could get to the bilge pump and float switch) from the upper side of the inner hull to the base of the hatchway. The new transom and front wall of the tunnel were installed. New removable floor grate was installed. Just a note on the performance issue. I haven't had too much experience with the 25hp motor yet because of motor problems I was experiencing when I first set this up. The motor had been under water, which involved several trips to the shop to get it fixed. I finally got that straightened out by the very end of the season (of the big rebuild), so of course I had to take the kickback out for a test drive. What a ride. 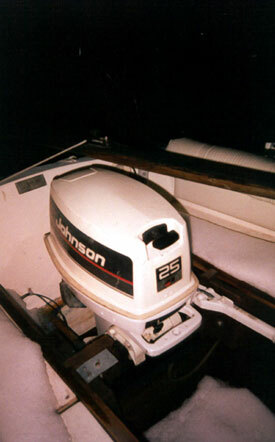 If my SC22 didn't have a very large keel trunk under the boat (the entire keel is mounted under the boat. there is not one bit of the original keel trunk in the cabin.) I feel that this boat would definitely plane. 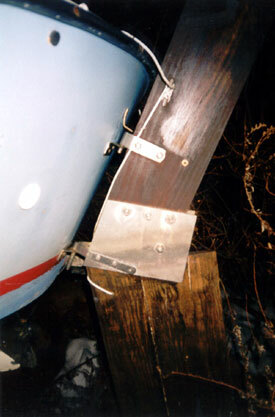 But under existing conditions with the keel trunk under the boat here is the deal. This thing really jams, and I love it.